Exotic Revival, Classical Revival, et al. Hollywood Forever Cemetery, originally named Hollywood Cemetery, is one of the oldest cemeteries in Los Angeles. It is located at 6000 Santa Monica Boulevard in the Hollywood district of Los Angeles. 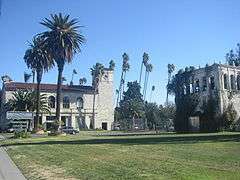 Paramount Studios is located at the south end of the same block on 40 acres which used to be part of the cemetery (but in which no interments were made). Those in the graves, crypts, niches, and sarcophagi at the cemetery include culturally significant people as well as celebrities, including legendary actors, directors, writers, etc. from the entertainment industry. People who played vital roles in shaping Los Angeles are throughout the property. The cemetery is active and regularly hosts community events, including music and summer movie screenings. In 2011, the cemetery acted as co-production company for the American silent movie Silent Life based on the story of the Hollywood idol Rudolph Valentino, who is famously entombed there in what was originally a borrowed crypt. 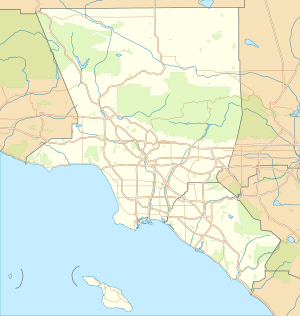 The cemetery, the only one actually in Hollywood, was founded in 1899 on 100 acres (0.40 km2) and called "Hollywood Cemetery" by developer Isaac Lankershim and his business partner / son-in-law, Isaac Van Nuys. The cemetery sold off large tracts to Paramount Studios, which, with RKO Studios, bought 40 acres (160,000 m2) by 1920. Part of the remaining land was set aside for the Beth Olam Cemetery, a dedicated Jewish burial ground, where people from the local Jewish community are buried. In 1939, Jules Roth, a convicted felon and millionaire, bought a 51% stake in the cemetery, the interment site of his parents. He used the money from the cemetery's operations to pay for personal luxuries while allowing the cemetery and crematory to fall into disrepair. 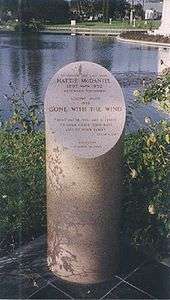 In 1952, despite her expressed wish, Roth would not allow the actress Hattie McDaniel, best known for her role of Mammy in the movie Gone With The Wind, for which she became the first African American to win an Academy Award, to be buried at Hollywood Memorial. At the time of her death, Hollywood Memorial, like other cemeteries, was segregated (the cemetery was desegregated in 1959). On the 47th anniversary of McDaniel's death, the cemetery's current owner dedicated a cenotaph in her honor at a prime location south of Sylvan Lake. The crematory was shut down in July, 1974 after the cremation of singer Cass Elliot. According to the cemetery grounds supervisor Daniel Ugarte, the crematory was in such disrepair that bricks began falling in around Elliot's body (the crematory was later repaired and reopened in 2002). 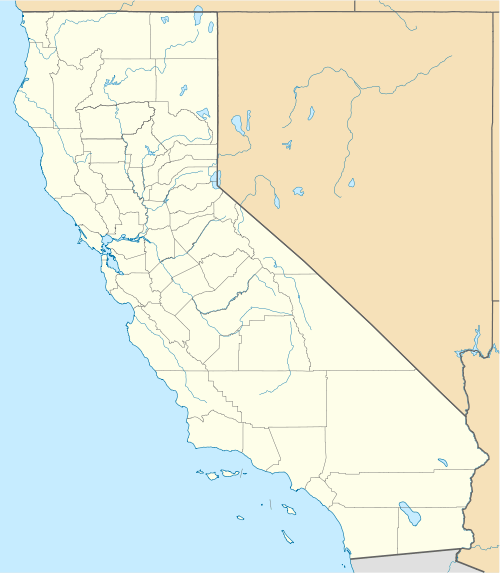 By the 1980s, the California Cemetery Board began receiving regular complaints from the families of people interred there. Family members complained that the grounds were not kept up and were disturbed to hear stories about vandalism on the cemetery grounds. The heirs of well-known makeup artist Max Factor (who was interred in the Beth Olam Mausoleum in 1938) moved his and other Factor family remains after the mausoleum sustained water damage that discolored the walls. In 1986, a Los Angeles woman and 1,000 other plot owners filed a class action lawsuit against the cemetery for invasion of privacy after they discovered that Roth allowed employees of Paramount Pictures to park in the cemetery while the studio's parking structure was undergoing construction. In 2015, a lawn on the south end of the property was paved and made into a parking lot for Paramount's employees. In the late 1980s, to settle tax bills and furnish his lavish lifestyle, Jules Roth sold two lawns, a total of 3 acres, which ran along the Santa Monica Boulevard front of the property. Those lawns are now strip malls which house, among other businesses, an auto parts store and a laundromat. After the 1994 Northridge earthquake, Roth couldn't afford to repair the roofs and other damage the earthquake caused to crypts. By that time, Hollywood Memorial was no longer making money and only generated revenue by charging families $500 for disinterments. In 1997, Roth was became ill after he fell in his Hollywood Hills home. He had been embroiled in a scandal regarding another cemetery he owned, Lincoln Memorial Park, in Carson, California. Several months before his death, Roth was bedridden and disoriented and during this time his will was changed to provide for his business associates and maid, who were the only witnesses to his signature. His relatives were written out. Roth died on January 4, 1998, and he was interred next to his wife Virginia, his father, and his mother in the Cathedral Mausoleum. The state of California had revoked the cemetery's license to sell its remaining interment spaces. After Roth's death, it was discovered that the cemetery's endowment care fund, meant to take care of the cemetery in perpetuity, was missing about $9 million, according to the current owner. Those owners, Tyler and Brent Cassity, purchased the now 62-acre (250,000 m2) property which was on the verge of closure in a bankruptcy proceeding, in 1998 for $375,000. They renamed the cemetery "Hollywood Forever" and set out to give it a complete renaissance, restoring, refurbishing and adding to it, investing millions in revitalizing the grounds and also offering documentaries about the deceased that are to be played in perpetuity on kiosks and are posted on the Web, as well as organizing tours to draw visitors. In 2010, Brent Cassity and his father, along with several others, were indicted for running a ponzi-like scheme stealing hundreds of millions of dollars from pre-need funeral contracts. It was later found that the money that the brothers used to invest in the cemetery came from the proceeds of the scheme. The cemetery has, since 2002, screened films at a gathering called Cinespia on weekends during the summer and on holidays. The screenings are held on the Douglas Fairbanks Lawn and the films are projected onto the white marble west wall of the Cathedral Mausoleum. Music events take place in the cemetery as well. On June 14 and 15, 2011, The Flaming Lips played at the cemetery in a two-night gig billed "Everyone You Know Someday Will Die," a lyric from their 2002 single "Do You Realize??" The 1983 horror film One Dark Night starring Meg Tilly and Adam West used the two mausoleums at Hollywood Forever Cemetery for the interior and exterior shots of the mausoleum in the film. The award winning film An Ordinary Couple was inspired by the building of a Hollywood Forever monument in the Garden of Legends and stars Bernardo Puccio and Orin Kennedy. A documentary about the cemetery called The Young and the Dead, was made in 2000. The cemetery is briefly shown in the short Stopover in Hollywood. The television series 90210 featured the cemetery in the episode "Hollywood Forever". In one scene of the novel Expiration Date by Tim Powers, the main characters are evading the antagonists of the novel by hiding in Hollywood Forever Cemetery. At one point the main hero, Pete Sullivan, remarks at the tomb of Bugsy Siegel that his late Hollywood producer father was friends with Siegel and many of the other celebrities interred at Hollywood Forever. To illustrate, Sullivan knocks the first few beats of "Shave-and-a-Haircut" on the marble slab of Siegel's crypt, and, a moment later, receives the response "Two-Bits" knocked from inside the crypt. In Episode 'Blues from Laurel Canyon' in Season 2 of Showtime's Californication character Lew Ashby's grave is depicted at Hollywood Forever Cemetery. A scene from the 2010 movie Valentine's Day took place in the cemetery. The movie shown in the cemetery was Hot Spell (1958). A song entitled "Hollywood Forever Cemetery Sings" appears on Father John Misty's debut album, Fear Fun. In 2012, Los Angeles heavy metal band L.A. Guns released an album entitled Hollywood Forever (album), which also contains a title track. A music video for one of the album's tracks, "Requiem" featured excerpts filmed on location at the Hollywood Forever Cemetery. Hollywood Forever Cemetery was featured on CNBC’s American Greed episode “Six Feet Plunder”: it detailed how the cemetery was purchased and owned by brothers Tyler and Brent Cassity, with some of the funds coming from National Prearranged Services, Inc., a ponzi scheme run by the Cassity family. The cemetery was featured in the 2014 horror comedy Burying the Ex. The 2015 movie Woman in Gold had a funeral scene near the Watchorn obelisk. Talking Dead hosted a live 90-minute season premiere on the grounds, immediately following the Season 7 premiere of The Walking Dead. Tomb Of Charles S. Chaplin jr.
Tomb of Douglas Fairbanks Sr. and Jr.
On the cemetery's website, there are "Forever Tributes" of each star. That is, a video showing pictures of the deceased person throughout most of the video. At the beginning of the video, a message would read, "A Hollywood Forever Tribute, in honor of...." and they would read the person's name. At the end, it would stop showing the pictures and would again read the person's name, and then would simply show the year they were born and the year they died (with exceptions, such as Douglas Fairbanks, Jr.'s dates being fully written or Carl "Alfalfa" Switzer's storyline being narrated by a woman). Music based on the person's career would play throughout the clip. You would either find them by looking them up or by clicking on the little blue stars on the interactive site map on the cemetery's website. ↑ "Rudolph Valentino (1895 - 1926) - Find A Grave Memorial". www.findagrave.com. Retrieved 2016-03-20. 1 2 Spindler, Amy M. (November 15, 1998). "Getting In". New York Times. Retrieved September 26, 2011. ↑ Foliart, Lauren (September 1, 2011). "Cemetery Historian". Los Angeles Magazine. Retrieved September 26, 2011. 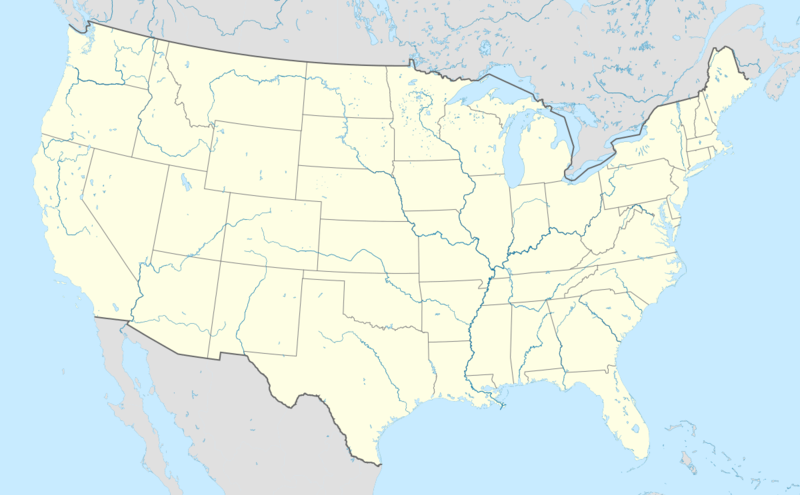 ↑ "Actress Hattie McDaniel Gets Final Wish". nbclearn.com. October 27, 1999. ↑ Price Davis, Anita (2013). The Margaret Mitchell Encyclopedia. McFarland. p. 147. ISBN 0-786-49245-7. ↑ LeDuff, Charlie (December 1, 2002). "Comeback for Resting Place of Movie Stars". latimes.com. ↑ Russell, Ron. "Splendor Fades at Final Resting Place of Famous, Almost Famous". latimes.com. 1 2 3 Silverman, Jacob (September 22, 2011). "Burial Plots". Tablet Magazine. Retrieved September 26, 2011. ↑ Schiffman, Betsy (November 11, 2002). "Grave Business". forbes.com. ↑ Purdum, Todd S. (December 11, 1997). "Los Angeles Journal; Cemetery to the Stars Wins a Court Reprieve". New York Times. Retrieved September 26, 2011. 1 2 3 4 Cathcart, Rebecca (June 7, 2008). "Where Hollywood's Stars Are Interred, but Live Forever on Screen". New York Times. Retrieved June 7, 2008. In 1998 Tyler Cassity, a friend of Mr. Boileau's from St. Louis, bought the 62-acre (250,000 m2) property for $375,000 and began making renovations. Mr. Cassity's family runs Forever Enterprises. ↑ LeDuff, Charlie (December 1, 2002). "Comeback for Resting Place of Movie Stars". New York Times. Retrieved September 26, 2011. ↑ O'Neil, Tim (Nov 24, 2010). "Prepaid funeral figures indicted". St. Louis Post-Dispatch. Retrieved 18 July 2016. ↑ Williams, Lancy (Oct 10, 2013). "Cassity family funeral businesses create $600 million fraud scheme". CIRO Online. Center for Investigative Reporting. Retrieved 18 July 2016. ↑ Lieber, Dave (March 26, 2015). "Watchdog: Massive Ponzi scheme hit Texas hard". Dallas News. James M. Moroney. Retrieved 13 August 2016. ↑ Alzayat, Dima (August 12, 2011). "Cinespia celebrates age 10 by staying up all night". Los Angeles Times. Retrieved September 26, 2011. ↑ Martens, Todd (May 3, 2011). "Flaming Lips' Hollywood Forever Cemetery gigs go on sale Friday". Los Angeles Times. Retrieved September 26, 2011. ↑ "One Dark Night - Film Trivia". IMDB. ↑ Salamon, Julie (May 18, 2002). "Television Review; So You Missed the Funeral? Come See the Video Tribute". New York Times. Retrieved September 26, 2011. ↑ Vlada, Gelman (October 4, 2016). "TVLine Items: Fresh Off the Boat Ups Ray Wise, '70s Show Reunion and More". TVLine. ↑ "Character Actor Richard Dunn Dies at 84". Associated Press. msnbc.com. 2010-06-24. Retrieved June 4, 2010. ↑ "Walker Edmiston (1925 - 2007) - Find A Grave Memorial". www.findagrave.com. Retrieved 2016-06-19. ↑ "Skelton Knaggs (1911–1955) - Find A Grave Memorial". findagrave.com. Retrieved May 26, 2014. ↑ "Edward G. Robinson, Jr (1933 - 1974) - Find A Grave Memorial". www.findagrave.com. Retrieved 2016-02-12. ↑ "Rudolf Schildkraut (1862 - 1930) - Find A Grave Memorial". www.findagrave.com. Retrieved 2016-02-08. ↑ Barnes, Mike (2016-07-02). "James Victor, Cassavetes Protege and 'Zorro' Actor, Dies at 76". The Hollywood Reporter. Retrieved 2016-07-10. ↑ "Franz Waxman (1906 - 1967) - Find A Grave Memorial". www.findagrave.com. Retrieved 2016-02-17. ↑ "Ern Westmore (1904 - 1967) - Find A Grave Memorial". www.findagrave.com. Retrieved 2016-02-15. ↑ "Holly Woodlawn (1946 - 2015) - Find A Grave Memorial". www.findagrave.com. Retrieved 2016-03-19. Masek, Mark (2011). Hollywood Forever Cemetery: The Unauthorized Guide (Kindle ed.). ISBN 978-1452469980. Wikimedia Commons has media related to Hollywood Forever Cemetery.